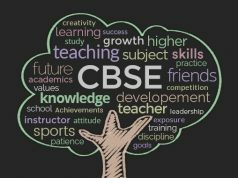 Looking for details about New India School at Kothrud, Pune? If yes, you have come to the correct page. Read through to know more know more about New India School Pune. New India School at Kothrud in Pune is a renowned educational institute aimed at providing excellent academic as well as co-curricular facilities to all its students. The school offer its students a perfect mix of academic, co-curricular and extra curricular activities necessary for all round development of a student. The school and the teachers motivate all their student to explore their full potential to become responsible global citizens.